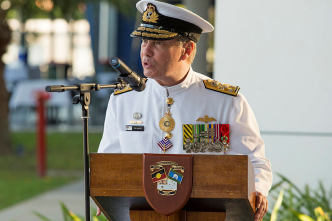 The ADF’s SEA 5000 ‘Future Frigate’ program faces two important but distinct challenges. 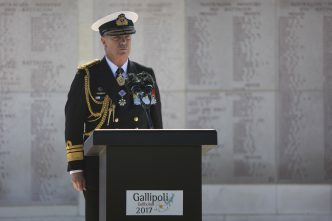 The first concerns capability: the plan is to build a new class of warships to replace the Anzac class from the mid-2020s, with an emphasis on anti-submarine warfare (ASW) capabilities. 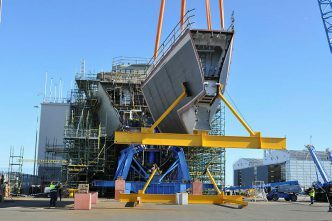 The second challenge is industrial: construction of the first of the new frigates is due to commence at the government-owned shipyard in South Australia in 2020. That’s a tight schedule, given that the basic ship design won’t be selected until 2018. The two aspects of the program are in competition. Completing detailed design work on a platform that meets Australia’s capability requirements will take time, but industrial concerns, especially workforce continuity, have driven the program towards an aggressive start date. The most likely outcomes are a delay in beginning construction, concessions on capability, or both. 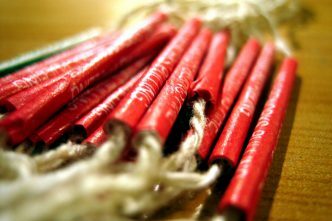 None of those outcomes would be palatable for the government, but there may be a compromise with a net positive effect. The best way forward for SEA 5000 may be to split the program into two classes, with an initial build of three vessels of one type before transitioning to a mature continuous production run of another. To maximise continuity and reduce project risk, the class of three could be based on the AWD. The follow-on class would be based on one of the SEA 5000 design contenders: either the BAE Global Combat Ship (Type 26) the Fincantieri ASW FREMM, or possibly a more highly modified Navantia F-5000, pending a decision from government. A decision on the second class of vessels could still be made in 2018, after which several years of risk reduction would begin. Or the decision could then be deferred until a later date when the risk landscape has changed. For example, construction on the first of eight Type 26 frigates for the UK Royal Navy has just recently begun—deferring a decision until the first of class is delivered would reduce risk if it’s selected for the RAN. The Type 26 and the FREMM-IT are also being considered for the Canadian surface combatant program, and the FREMM is one of only a few foreign designs under consideration by the US Navy for its FFG(X) program. A deferred decision by Australia could provide opportunities for international collaboration on design work—and potentially even component exports during production. Building more AWDs would give the RAN an option to field a sea-based ballistic missile defence (BMD) capability sooner than current plans would allow, and in greater numbers. Defence has the option of adding BMD capability to the AWDs during an upgrade in the second half of the 2020s. Even if the threat from North Korea subsides, the need for a naval BMD capability is likely to increase in the coming years as anti-ship ballistic missiles proliferate. A second tranche of AWDs under the SEA 5000 program could bring BMD-capable vessels into service as soon as 2023–24. Installing newer systems into the third Hobart-class AWD, HMAS Sydney, during fit-out would introduce BMD capability even sooner, in 2019–20, but no plan exists to do so and the window of opportunity may have closed, depending on the availability of long lead-time components. 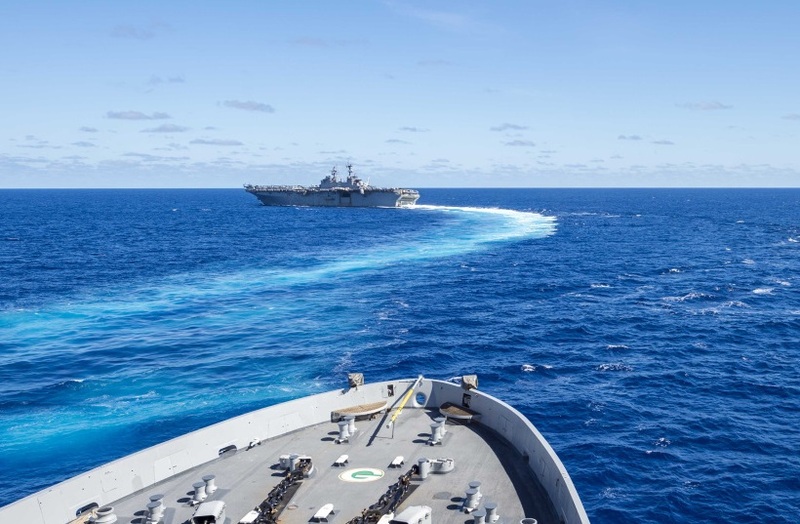 If the AWD design remains mostly unmodified for the follow-on three vessels, construction could begin as soon as the workforce capacity and materials are available, perhaps even in 2019—a year ahead of the currently planned start date of 2020. That would help avoid the ‘valley of death’ and remove the need for split OPV construction. An unmodified design might be controversial when it comes to the choice of radar: while the Australian-made CEAFAR radar is reputedly superior to the AWD’s SPY-1D radar in performance, and is the radar of choice for SEA 5000, using the SPY-1D would allow us to reap the benefits of the US Navy’s integration testing regime. That’s particularly important for BMD capability: while it’s likely that the CEAFAR radar can be integrated with the SM-3 ballistic-missile interceptor, it would need to be developed and tested over a long period of time. The only sacrifice would be a reduced ASW capability in that six of the RAN’s 12 surface vessels in service as of 2040 will be specialised for ASW instead of nine. But all of the RAN’s major surface combatants will continue to be general-purpose warships, designed to perform a broad range of missions, including ASW, to varying degrees of performance. The shortfall in ASW capability can be made up for with smaller platforms, including unmanned systems or ASW-specialised corvettes (not unlike the 1,800-ton OPVs), and more ASW aircraft (which are more likely to matter more than the ships themselves). 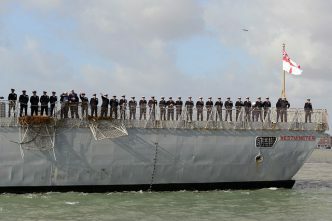 Delivering additional naval BMD capability to the fleet later would be more difficult. There are multiple emerging opportunities for international collaboration on designing and building surface combatants to mutual benefit. But even if Australia decides to produce a wholly orphan design, a ‘three then the rest’ build program would mean that detailed design work for the later SEA 5000 vessels wouldn’t need to be completed for several years. And rushing into a decision to accommodate industrial concerns wouldn’t be necessary; splitting SEA 5000 into two classes would be beneficial for both industrial and capability reasons. James Mugg is a researcher at ASPI. Edited image courtesy of the Department of Defense.